The cult of personality, thick around Robert Frost, one of America’s most recognized poets, was marked out by the poet and his acquaintances, friends, and enemies long before his authorized biographer, Lawrance Thompson issued his particular, questionable vision (plus a carefully designed “Selected Letters’’) after Frost’s death in 1963. This new collection of letters, published by Harvard University Press a semicentury after his death, begins to reverse a curse that shadowed Frost after his ascendancy in American letters; whether presented by him or projected by others, his image became mythic to the point of hollowness. Writers, in particular, are revealed through traditional correspondence. 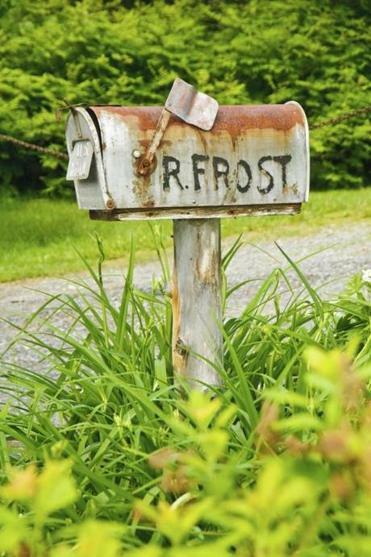 Thanks to Harvard’s undertaking, Frost’s more complete, chronological letters help correct the poet’s legacy by allowing it weight and breadth; readers again face questions like those posed by Joseph Brodsky in his essay, “On Grief and Reason”: “Would you like to become Robert Frost?” What do we understand of him? With everyone, he runs a range of emotions. There’s amusement: “the papers were out with scare heads like this: ENGLAND IN THE GRIP OF FROST I accept the omen, says I, I accept the omen. Better so than that Frost should be in the grip of England”; anger (towards Ezra Pound and others); concern (over former pupil John Bartlett’s money or family troubles); desire (to get work out where it will be seen — not always self-serving, as comments to Harriet Monroe about Edward Thomas show: “He has a quality.”); anxiety (over his wife, Elinor, who almost died from miscarriage, over threats of war and illness to his family); surges of admiration (for Bartlett, Thomas, and F.S. Flint), grief (over the death of Thomas). One can paint, as biographer Thompson did, Frost as critical, egotistical, unpleasant in these letters, but no one can accuse him of indifference. Some letters are wickedly funny, even in their unkindness; he is always, always clarifying his positions on poetry. The letters Harvard presents are more extensive than those in Thompson’s “Selected,’’ but most of the ones quoted in this review are found in both. The great difference between the two books is in their handling. The editors here state: “Frost’s ‘calculations’ are almost always aboveboard, and most often very winning” while Thompson’s is set on “unmasking” (his word) and tearing the man down. That is not to say there aren’t letters that leave room for excoriation or that Frost’s words aren’t at times reprehensible. But the Harvard letters seem softer for scope and impartiality, their willingness to let Frost turn whatever Janus face he happens to turn as he writes. In his own treatise, fellow poet Derek Walcott looked past Frost’s failings: “Pound’s poetry does not absolve Pound, any more than a single phrase from a letter by Frost damns Frost forever . . . poetry pronounces benediction not on the poet but on the reader”; one feels through Harvard’s efforts with Frost’s letters, that’s once again what’s true.